Behnaz Mozakka was the only Iranian born victim of 7/7 London bombings that targetted innocent commuters. She had fled Iran with her husband Nader and their two small children. 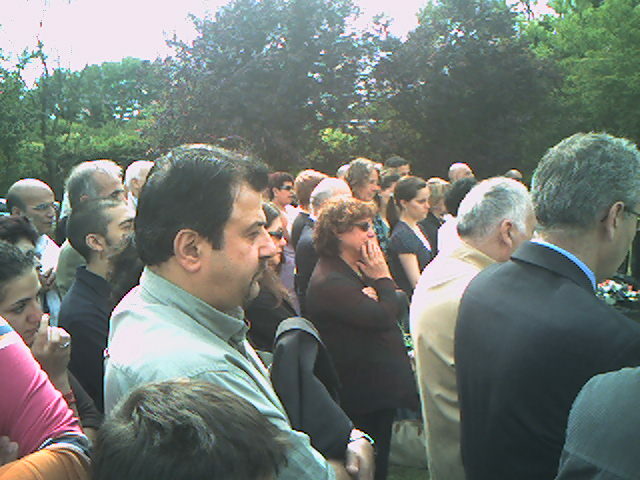 Some of Nader and Behnaz's friends were executed in the 1988 massacre of Iranian prisoners. Fearing for their own life and the future of their two children, when they felt the net was closing in on them, they left Iran to make England their second home. They thought they had escaped Islamic fundamentalism and could raise their children, Saba and Saeed without fear. 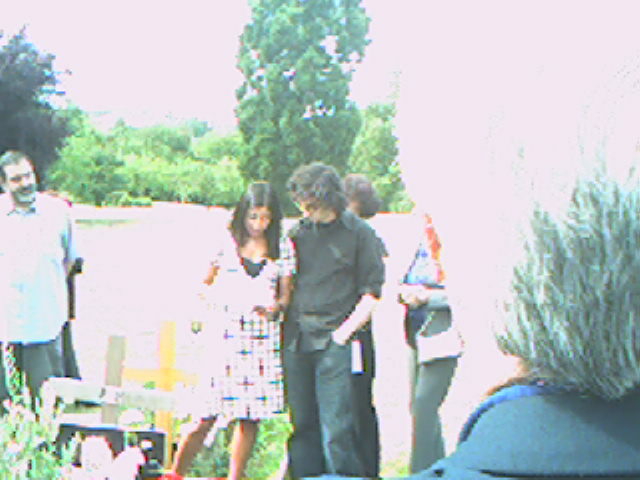 Here in London, the couple led a peaceful life and worked hard to contribute towards their new community. They struggled at first like all immigrants have to, until eventually hard work paid off and the family enjoyed the prosperity they deserved. Their focus was their children and the future, yet the Islamic fundamentalism which they fled in the past, shattered their lives again in London on 7/7. It was an ordinary day, Behnaz gathered the family for breakfast and everyone set off for work expecting to see her later in the evening. The evil ideology that justifies killing innocent people for "the cause" however, took a devoted wife and a loving mother away. What should have been a normal getting together of the family after work, turned into sleepless nights and frantic calls to hospitals and police stations until the painful truth put an end to all the remaining shreds of hope. Behnaz's family, friends and Iranians gathered at her graveside in North London, yesterday. Her friends talked about Behnaz and her short interrupted life. One friend read a letter she would have written to her had she been alive. Another read a poem written by Behnaz, while desperately trying to control her emotions. Right or wrong, I don't care what you think, but I was brought up to think that men should not show their emotions in public. Men should remain strong and shelter the women and children in times of pain and sorrow and hide their fears and fight back their tears in front of them. Yet I found it impossible to fight back my tears when Behnaz's daughter, Saba spoke about her mother. Her brother Saeed held her hand and her father, Nader held her shoulder, so she could find the strength to remain composed and tell us how much she missed and needed her beloved mother. How can any warped mind justify taking Saba and Saeed's mother from them? how can ending Behnaz's life achieve anything? After the speeches, I went up to Saba and Saeed and told them how moving Saba's speech was and how much their mother would have been proud of them. Nader thanked me for turning up and I could only reply "It was my duty". Just when we were about to leave the cemetery, Iranian dissident, Akbar Ganji, who was on hunger strike for 57 days in Islamic Republic prisons, turned up. Nader asked him to say a few words. Ganji spoke of the need for tolerance and creating a society where no one is harmed for opposing an ideology or not embracing it. His presence was comforting to the family. I remembered how during the 57 days Ganji was on hunger strike, the BBC News not once mentioned him and Kofi Anan at one point said he had never heard of Ganji. There were no reporters at the gathering by Behnaz's grave neither, nor was the London Mayor there. The pain and sorrow of an Iranian family once again went unreported. I enjoyed reading your report. Thank you for your attention and for letting us know as well. I hope Akbar Ganji will not prove to be a divisive factor by his insistance on his personal political preferance. Thank you for reminding us of the tragedy that has fallen to our dear compatriots. You are right, after 27 long years, after so many injustices and tragic events that has happened in Iran and to all the innocent Iranians, without a word of sympathy or condemnation from those who pretend to hold high offices of power, it is no surprise that this one, like all the others, due to the mass demonetisation of the Iranian nation by the world at large due to what the mullah Mafia's have done to us Iranians, goes without proper reporting and remembrance and gets consigned to the dark pages of history, only to be remembered by Saba, Saeed, Behnaz Mozakka's husband and her close family and friends. I value the comments of Mr Ganji who at one time was part of this evil regime and after seeing the light and turning away from this monstrous system suffered so much under their hands for his efforts in exposing their evil deeds. The future of Iran and its people is bound up with all such people. Iranians like him who have turned their back to this tragic circumstances and are on the road to build a new democratic and a free society for the new generations, regardless of their own past and personal histories. The only thing that maters now is that we should not forget but be magnanimous in dealing with all those who were wrong, did wrong but are now right and righteous. I long to see a better future for my sick and tortured land. It was very tragic to see an Iranian who had fled the brutal Islamic Republic regime in Iran being killed by the Islamist terrorists in London last year. When I read your report, I found it even more tragic to see the poor children of Behnaz Mozakka being comforted at the end by Akbar Ganji, who was amongst those involved and responsible for initiating such atrocities and fundamentalism back in 1979. Yet Namdar, you work with a lunatic in need of psychiatric treatment who along with Khalkhali destroyed Reza Shah the Great's tomb, and another one who calls himself Mardavij now but until a few years ago, was a supporter of Khomeini and has pictures kissing Khomeini's hand. If you have any evidence against Ganji you should show it and at least Ganji challenged the entire velayat faqih system, with going on hunger strike for 57 days. Ganji has done much more against IRI than what the two comrades of yours, mentioned above, have done. Lets embrace anyone who has seen the errors of their judgements in the past and think bigger than our personal friendship clubs. My comments regarding Ganji would fall somewhere in line with what Amir said, although as of now his (Ganji's) personal political preference seems to be more important than uniting the Iranian nation and letting people decide for themself! I think it is imperative that we all tread very carefully when it comes to discrediting important uniting figures such as Akbar Ganji. Old School Iranians, PLEASE LISTEN UP! Should you insist on making statements with no documented proof to back it up, you will end up being discredited by a growing democratic movement that will leave you behind and render your asses USELESS!